MAKATI CITY | People nowadays are always in search for something innovative, different, exciting and fun to do in the metro. 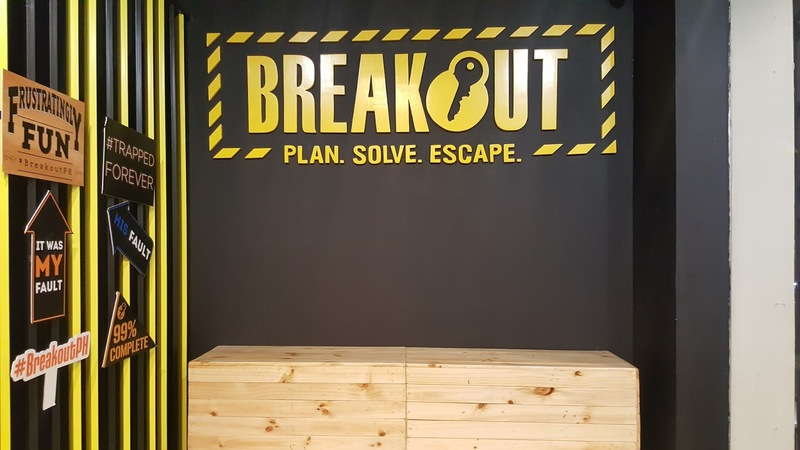 If you are a person who enjoy finding clues, acting like detectives, solving logical puzzles, and escape games, then BREAKOUT is the venue for you! 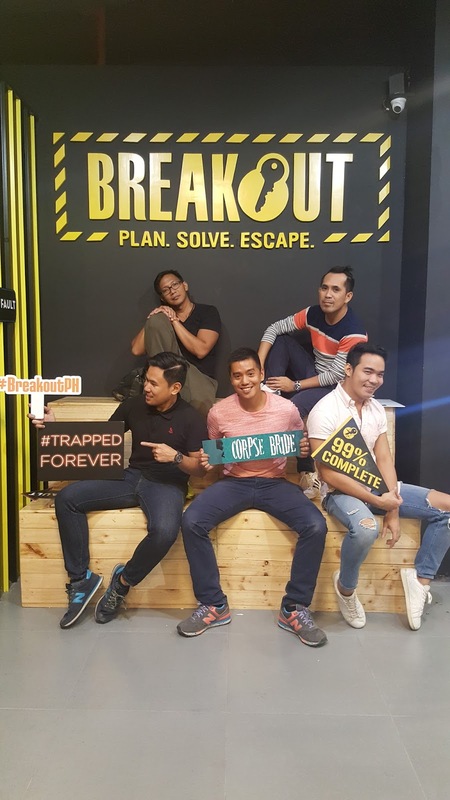 BREAKOUT is the Philippines’ Premier Escape Room that will really take you and your friends to a different level of fun. 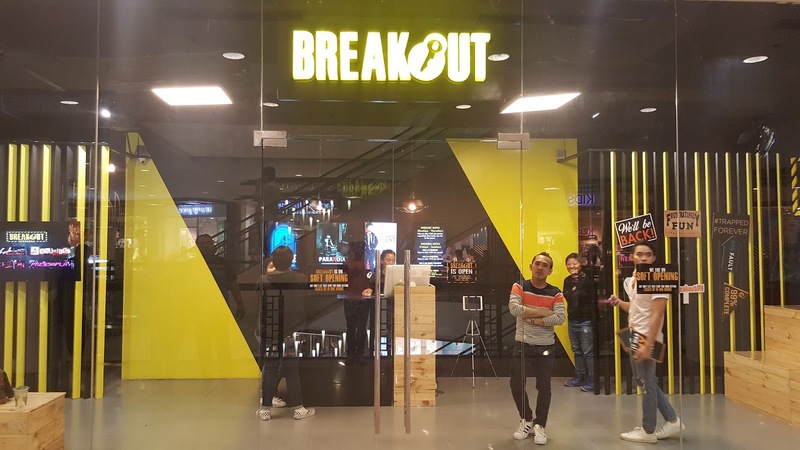 Breakout has 5 other branches scattered around Metro Manila and since we are very close to Makati, we decided to visit their newly opened branch in Greenbelt 5 at Level 3. 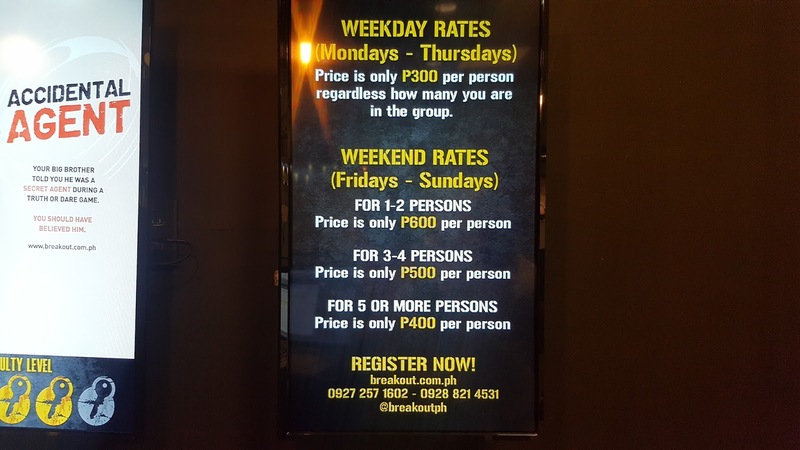 Here are the rates if you want to try the Breakout. It is advisable that you go as a group or as a team as it will help you in solving puzzles. As they say, more heads are better than one! 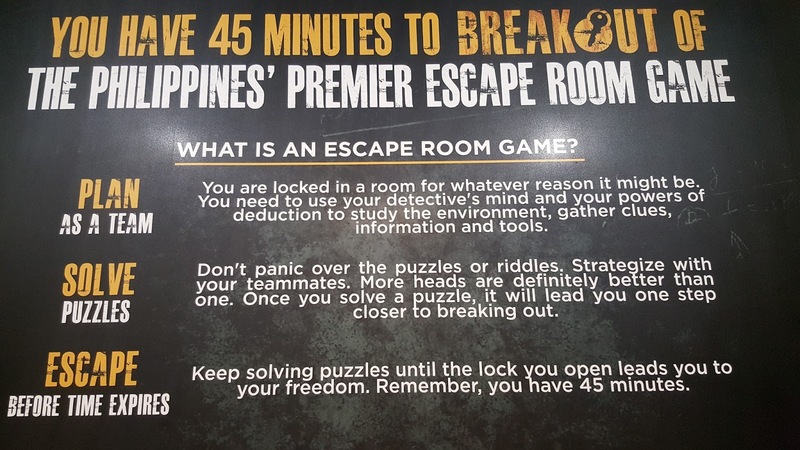 At Breakout, you will have to plan as a team, solve logic puzzles as a team, and must escape before the time expires which is exactly 45 minutes. While waiting for our turn, Von kept us entertained during the entire time at Breakout. She was very friendly and full of smiles most of the time! Few minutes before we entered the room, Von gathered us all and gave us some few reminders of what not and what must not be done once inside the room. 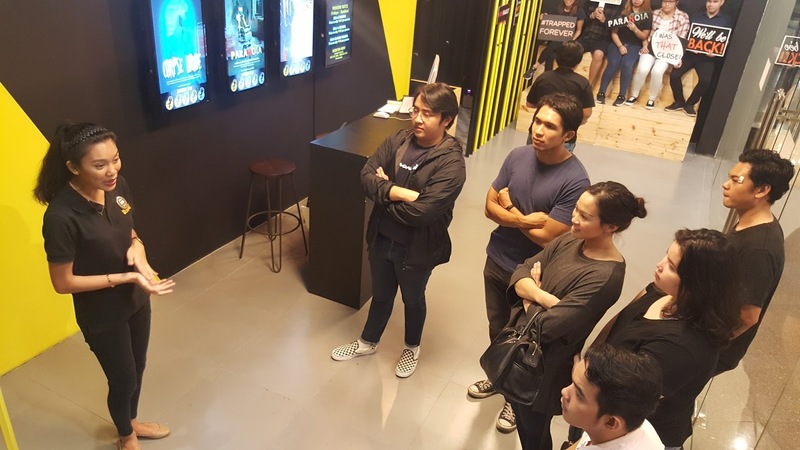 At Greenbelt 5, there are 3 escape rooms that are a must try. 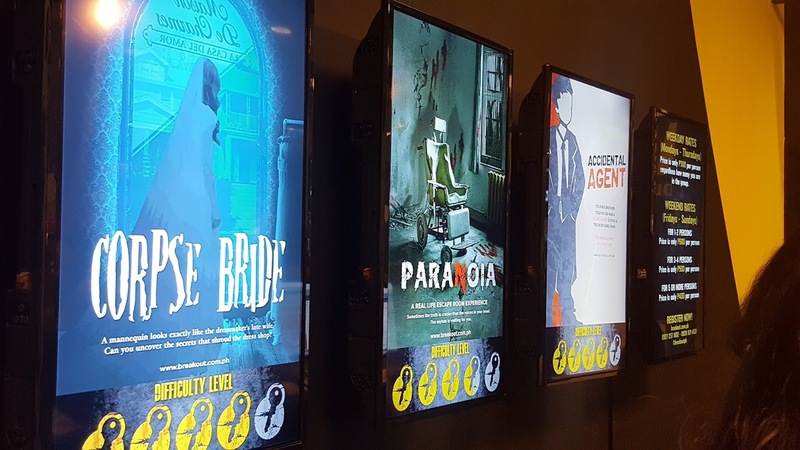 And during our visit, we tried two exciting rooms, PARANOIA and CORPSE BRIDE. “In your neighborhood, there was a popular dress shop owned by a newlywed couple. They ran their business with passion, and their love for each other was reflected in each and every dress they created. However, not even a year into their wedding, the wife got extremely ill and died. 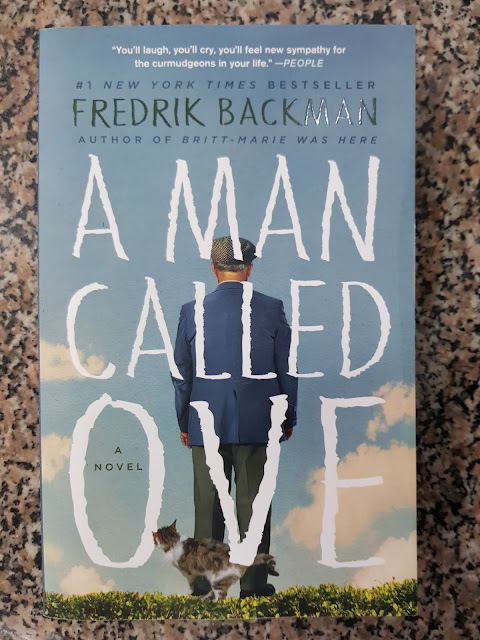 Her husband, wilting in his grief, became so uninspired with his craft that the once bright and welcoming shop soon turned gloomy and desolate. Because of this, people eventually stopped visiting the shop and he lost his business. The once loyal patrons started wondering though, why was there no funeral for the wife? What if she is still alive? Where was the husband now? 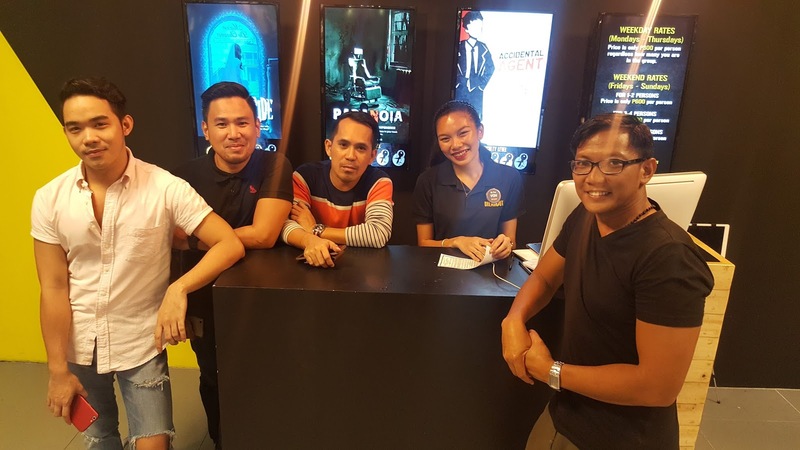 Another escape room that I want to try soon is the Accidental Agent which I am sure another fun and very challenging room to escape awaits. “You had a sleepover with your brother and cousins and played Truth or Dare. After intense rounds of Dares, your brother opted to be different and tried Truth. After much prodding, he ended up sharing “confidential information” that he was actually a spy for a secret organization. Of course this was a wild claim and nobody believed him… until the next day. You wake up and notice that your brother is missing. More than that, the room is bolted from the outside and you can’t get out. You find a note by the printer, it seems to be a list of to do’s. What’s going on? On our first try, we entered PARANOIA. They blindfolded us upon entering the room and that adds more to the excitement for the whole thing. When the speaker said that we could remove our blindfolds, we were in a completely different world. It was so realistic! We looked around the room trying to look for clues and all of us were in 4 corners trying to figure out what really was going on. We eventually found the first clue and from then on we went crazy and wild specially when you had all the pieces together! Unfortunately we were not able to breakout after 45 minutes! But it was fine because we really had so much fun inside! 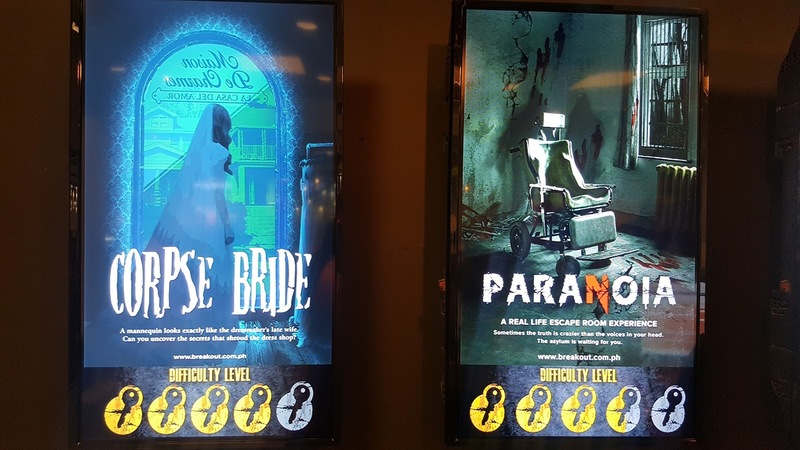 After a few minutes, we then went to the other room which is CORPSE BRIDE, which was more difficult than Paranoia. We then used our investigative minds for the second time and walked all around to solve the mystery of the room. It was an another exciting moment for all of us specially knowing that things around us are connected and could possibly help us in solving the puzzles. But then again, we were not able to solve everything in 45 minutes! 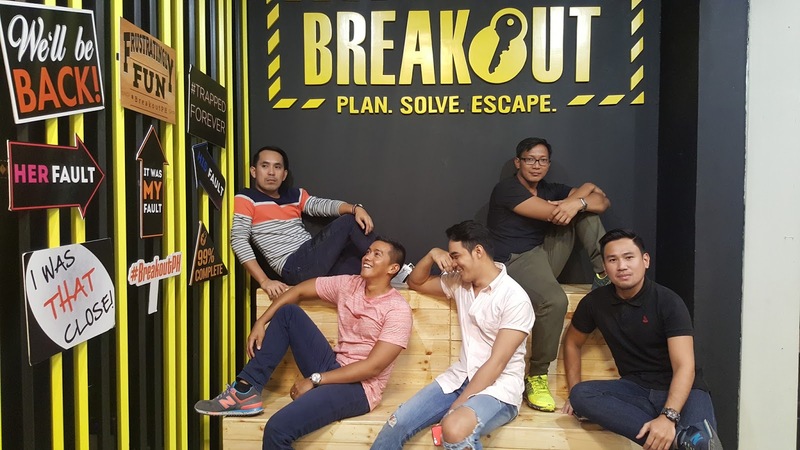 We cannot really describe our feelings after not being able to breakout. 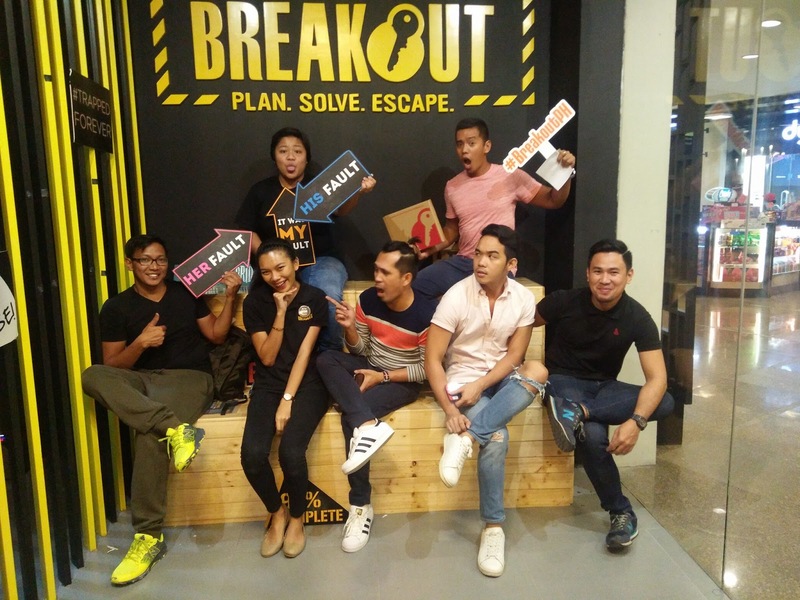 We were that close to solving the puzzles and being able to breakout. 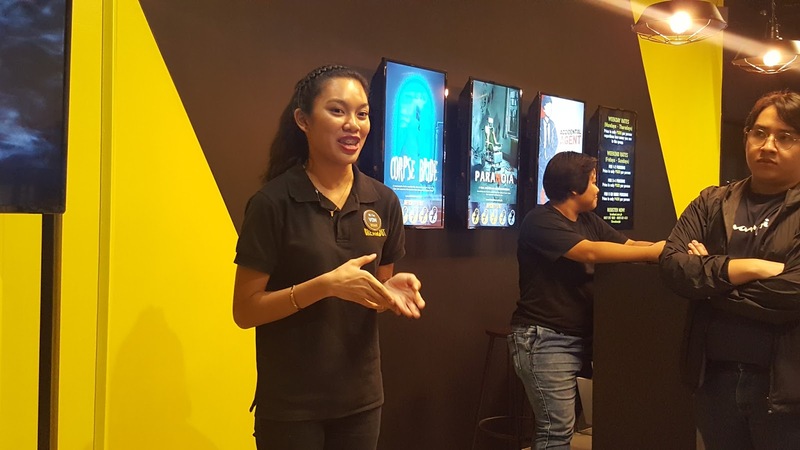 But we really enjoyed the whole experience most specially the excitement we had inside the rooms and that moment when you were able to solve the clues and piece them all together. It can be very addictive and before we left the place, we all said to ourselves, we will be back and we will BREAKOUT soon! Watch how my friend made a very funny and emotional description about his experience in the Paranoia. We just packed up laughing!